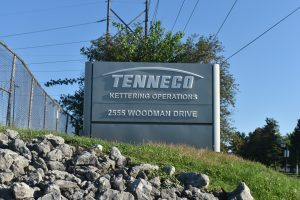 Tenneco recently announced plans to significantly expand their Kettering plant and double their workforce bringing more than 400 new jobs to our community. Tenneco Automotive Operating Company Inc. has proposed investing up to $98.5 million in its Kettering Engine Facility in a huge expansion of the capacity there, a move which would add about 480 jobs. The company is looking to buy new equipment to modernize the plant and could be moving additional production here from other sites.